Welcome to A10 Talk’s Preseason Top 25 Player Countdown for the 2017-18 season. Each day, we’ll be publishing a new article, counting down our best 25 players for the coming season. Today, we feature #21 Jonathan Williams of VCU. Grant Labedz (@GrantLabedz), Mat Shelton-Eide (@MatSheltonEide), Grant Kelly (GrantKelly07), Andrew Phung (@LoveRI401), By George (@ByGeorgeGMU), Davidson Recruiting (@DavidsonMBBRecr), Steve DiMiceli (@SteveDiMiceli), Rhody Rampage (@RhodyRampage), UMass Recruiting (@UMassRecruiting), Bona Blog (@BonaBlog), Petey Buckets (@PeteyBuckets), and UMass Ball Report (@theumbr). Williams’ improvement from the 2015-16 season to last year may have been shadowed by JeQuan Lewis’ stardom in the A-10. The junior made a big step last season, merging from a placeholder to a true contributor in this Rams’ offense. Williams more than doubled his point production (3.9 to 8.3 PPG) while only averaging 70% more playing time his junior year compared to his sophomore year. Also, Williams was VCU’s 2nd best distributor in the 16-17 season, behind Lewis, but he did manage a better assist-to-turnover ratio than his teammate. Williams displayed himself as a fundamental basketball player last season. He had the 23rd best assist rate in the conference, dealing out 3.1 per game. He ranked top 25 in the conference in fouls drawn per 40 minutes and had the 7th lowest rate of fouls committed per 40 minutes as well. Williams gets to the line frequently where he cashes in on 72.5% of his attempts. He’s effective off the dribble, can score inside the three point line, and he’s going to have a myriad of wings to kick and distribute to in this year’s VCU offense. I wouldn’t be surprised to see Jonathan Williams in the top 3 in the A-10 in terms of assists per game this year. He’s been emerging as a better passer as his career has progressed, and his 7 dimes in the A-10 Tournament against Richmond last year are indicative of that improvement. The Rams lose 6.6 assists per game between JeQuan Lewis and Samir Doughty, meaning it’s time for Williams to be the focal point of this offense. Setting up his teammates, specifically wings De’Riante Jenkins and Issac Vann as well as Justin Tillman down low, with open looks will be crucial if the Rams want to keep up with other fire-powered offenses like Rhode Island. Defensively, Williams is one of the main motors that keeps these Rams working. Even with a change in leadership, expect the senior to be a leader helping the Rams do what they do best: defend. Without Lewis and Brooks around to rip away turnovers, Williams may be called upon to pick up the slack. Jonathan Williams has become a distributor-scorer for VCU, and he seems more than ready to take the helm under Mike Rhoades. Again, this is a guy who made some major improvements last season, and a lot of them went unnoticed because of Lewis’ dominance in VCU’s backcourt. He’s matured as a player who can defend without fouling and distribute without coughing up the ball frequently. 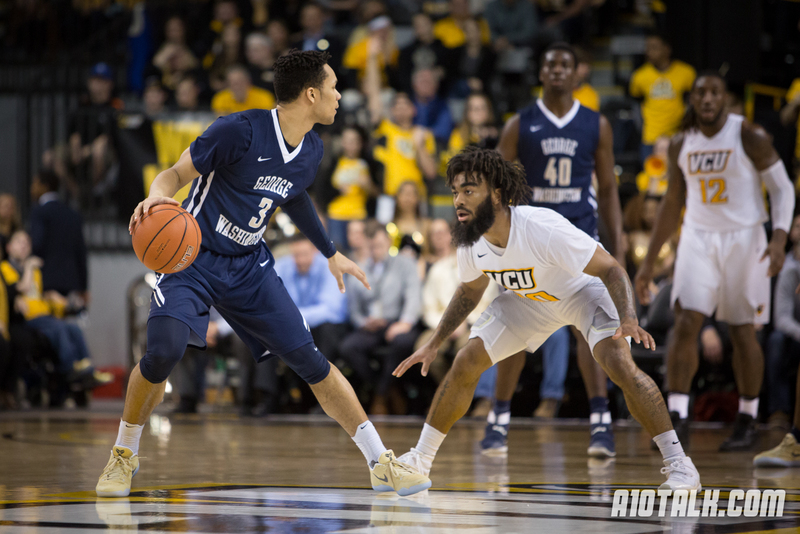 With a lot of new faces and even a new coach at the Siegel Center, the Rams will undoubtedly look to Williams for poise and leadership. Follow us on Twitter, like us on Facebook, and check out our forum for more VCU content.